Tax preparation giant TurboTax says it has lifted its suspension on processing state tax returns following reports of suspicious activity. TurboTax's announcement to suspend today followed a move this week by Minnesota's Department of Revenue to stop accepting tax returns submitted using TurboTax due to "potentially fraudulent activity." But by 3 p.n. Pacific, the filings resumed, and the company, which is owned by Intuit, said in a statement that it "continues to work with the states as they build their own anti-fraud capabilities," and "after working with third-party security expert Palantir on a preliminary examination of recent fraud activities, Intuit believes that these instances of fraud did not result from a security breach of its systems." Authorities in Utah and Alabama issued similar warnings without naming TurboTax, saying they will stop accepting tax returns through "third-party" software. "We've identified specific patterns of behavior where fraud is more likely to occur," Brad Smith, Intuit president and CEO, said in a statement earlier today. A spokeswoman for Intuit said that during the suspension, “We’ll securely hold the file until we resume transmissions.” Customers can also still mail their tax returns completed through TurboTax, she said. 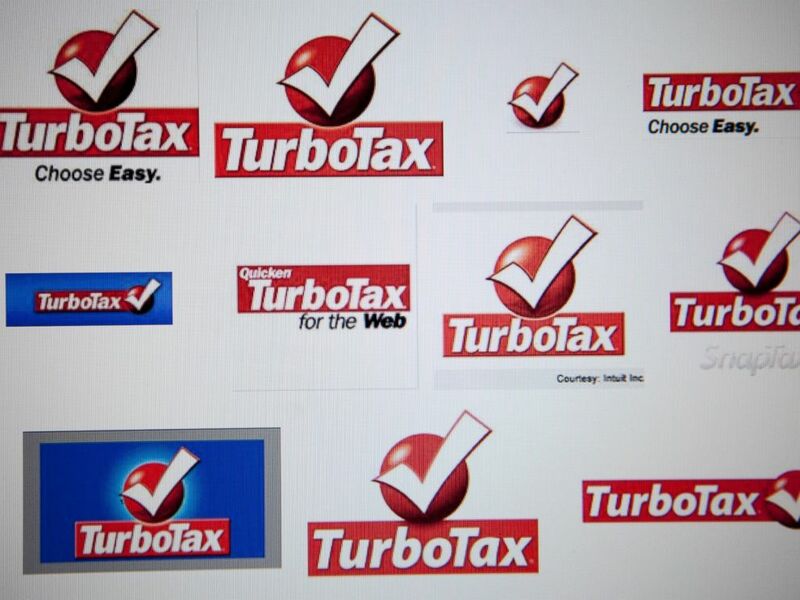 Intuit Inc.'s TurboTax logos are displayed on a computer monitor in Washington, D.C. on Feb. 13, 2012. The announcement didn't affect the filing of federal income tax returns. The Minnesota Department of Revenue said it's still accepting returns filed with Intuit professional preparer products, which include Lacerte, Intuit Tax Online, and ProSeries. In 2013, Minnesota's Department of Revenue issued a similar warning after discovering "multiple issues" with Intuit products that created problems for property tax refunds, education expenses and political contributions, tax expert and attorney Kelly Phillips Erb noted. This is the second publicity wrinkle for TurboTax early in the 2015 tax season. Last month, the company increased the price of one version of TurboTax online, which caused its Amazon.com rating to plummet to one star out of five and an offer from H&R Block for customers to switch to the competitor. A spokesman for H&R Block said his company has no indication the same issue exists with H&R’s online state returns. Tax identity theft cases increased 135 percent in 2014 from 2013, according to IDT911’s fraud center, likely due to the rash of breaches exposing personal information, Matt Cullina, CEO of IDT911, told ABC News yesterday. On Wednesday, health insurer Anthem Inc. said as many as 80 million customers’ personal data may have been compromised in a cyber-attack. That personal information included social security numbers, addresses, phone numbers, email addresses and employment information.